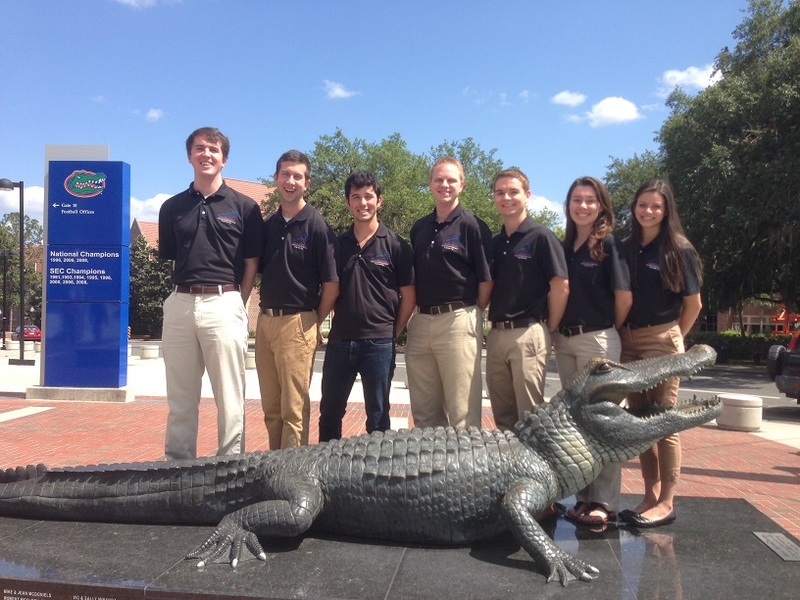 NORCROSS, GA: UF’s student chapter of IIE, the Institute of Industrial Engineers, received the Gold Student Chapter Recognition Award for the 2012-2013 academic year. This is the twelfth consecutive year in which the chapter has received this honor. Student chapters across the country are evaluated on their meetings, events, community outreach, membership development, and regional/institute participation. The Gold Award is the highest honor that a chapter can achieve. UF IIE continuously strives to achieve this standard every year and is proud to be recognized once again as an outstanding chapter. The presidents for the 2012-2013 year were Pedro Macellaro and Daniel Schra, while the new president for Fall 2013 is Amadeus Spirk. The officers from Spring of 2013 are shown in the featured photo.